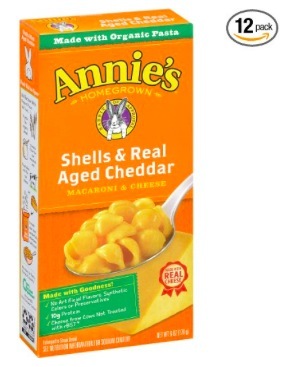 Amazon.com: Annie’s Macaroni and Cheese, Shells & Aged Cheddar (12 pack) only $8.29 shipped! Amazon has Annie’s Macaroni and Cheese, Shells & Aged Cheddar (12 pack) for only $8.29 shipped when you clip the $3 off e-coupon and checkout through Subscribe & Save! That’s like paying just $0.69 per box shipped! « Amazon.com: Crest Pro-Health HD Whitening Two-Step System only $7.37!